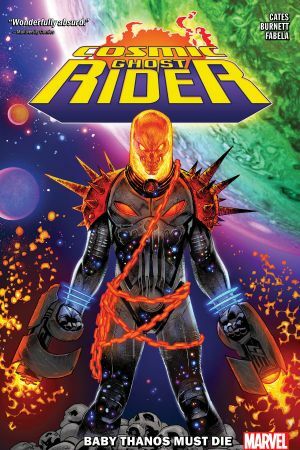 Collects Cosmic Ghost Rider #1-5. You knew him as the Punisher. Then Frank Castle made a deal with the devil that made him the Ghost Rider. A deal with Galactus made him cosmic. And a deal with Thanos made him…dead?! Not to worry, Castle doesn’t die easy. 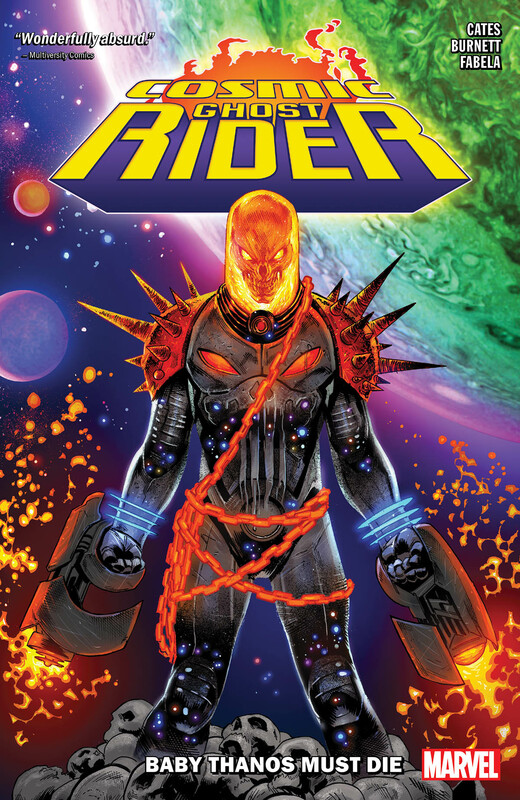 He’s back — and he’s got a plan to make the universe a better place! It all starts with an idea so simple he can’t believe no one’s ever done it before. But as with all things worth doing, it’s not going to be easy. Castle takes on space sharks, faces down the future Guardians of the Galaxy and runs into Galactus during a bar fight! And don’t forget…baby Thanos?! 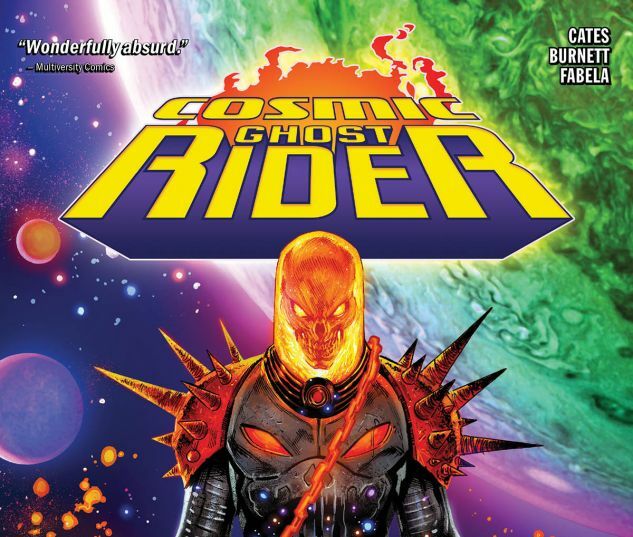 It’s Frank…er…the Punish…um…Cosmic Ghost Rider in the craziest caper you’ve ever seen!